Mr. Holmes Announces July 17th U.S. Release Date - Are You Screening? You’ve got to love the fact that Sherlock Holmes just isn’t going anywhere. 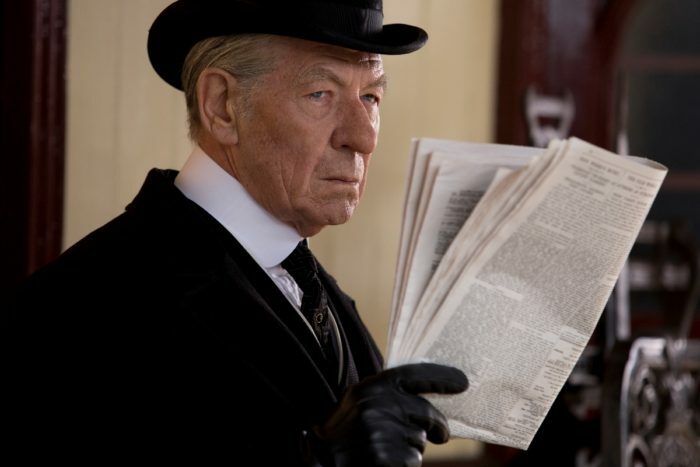 Now, a new take on the subject with Mr. Holmes, starring Ian McKellan as the aging detective with one more case to work through. Not quite the action-packed vehicle we’ve seen of late, but one that appears to be a little deceptive when it comes to how much is going on. At least, considering the trailer, which appears to show a Holmes with diminishing capacity, who does little more than tend to bees. Of course, that does actually describe the events of the film, to some degree, but there are hints that we’re in for something a lot more complicated, and if a movie is going to do the sleuth justice, we better be. You can finally mark your calendars, as the film will hit July 17th, and be sure to catch the trailer below.